Tatsuya Yoshida, is probably the best drummer you’ve never heard of. As the beat section of the progressive duo, Ruins, and the compositional mastermind behind Magma-homage, Koenji Hyakkei, Yoshida is an intense and signature-attentive avant musician, the type Zappa might’ve hired or, at the very least, respected. Reconsidering Ruins, whose components have been confined to bass/drum combos since its birth in 1985, Yoshida enlisted the aid of alto saxophonist, Ono Ryoko. Originally intended as a live permutation, Yoshida has since renamed the duo, Sax Ruins, obviously in response to this new interpretation of his music, now a free jazz progressive entity whose arrangements closely follow its percussive assault. Yawiquo is their first release. This is pre-“SAX” Ruins incorporating Koenji Hyakkei into the mix, dated 2007. Yoshida is the focus. 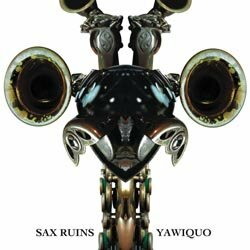 Yawiquo is essentially an album of drum solos, Ryoko’s free jazz/big band brass meant to hit as fast and precise as Yoshida does. In the vein of something like Frank Zappa’s “The Black Page #2,” part one having been composed solely as a complicated drum piece, number two its big band counterpart, Ryoko’s task is to follow Yoshida, her exhalant blasts accentuating his prowess. With the album’s opener, “Korromda Peimm,” Yoshida and Ryoko are both excitable and inseparable, but her heavy brass works to develop a tone or mood. Even following Yoshida, she manages to develop both loud and fluid melodies. On the other hand, with a song like “Snare” Ryoko is treated more like a warm-up partner, which exemplifies to some extent the album’s momentary bouts of self-indulgence. 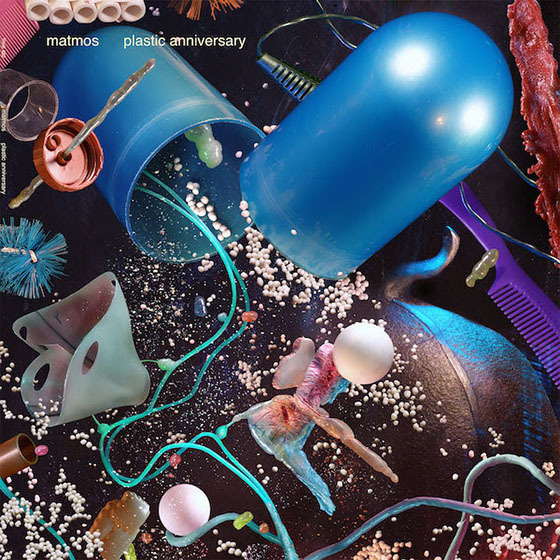 It’s difficult not to call most of this music “masturbatory,” the snippet-length pieces more like boastful showcase demonstrations than fully realized instrumentals. But, as is the nature of something this experimental, when they get it right, it’s something to behold. Pretension doesn’t really mean too much in the face of something as brilliant as “Czerudmuntzail,” whose initial attack decelerates into an almost big band slow dance worthy of some ‘luded, decaffeinated Benny Goodman. Also strong are the rock n’ roll propulsion of “Zworrisdeh” and the sharp tonality of “Gravestone.” The music is handled with the mastery and skill with which Yoshida is known to possess, so in that regard, Yawiquo is a perfectly conceived jazz album. It’s challenging and its entirety is meant to build up to its almost 7-minute climax: the album’s title track. And, for the thirty something minutes it takes to get there, it’s a bumpy but worthwhile ride. Zappa would be proud to see a still viable underground boasting artists like Yoshida, signifying that jazz is indeed not dead, nor is expression a thing of the past.